Eastern Glass Block offers the customer the option to experience the beauty and benefits of glass block showers in their custom shower design, or to install the cost effective and complete glass block shower kits that have the look of a custom shower without the installation hassle. Shower systems make it easier and more cost-effective than ever for you to bring the impact of a bright and beautiful glass block shower into your bathroom design. 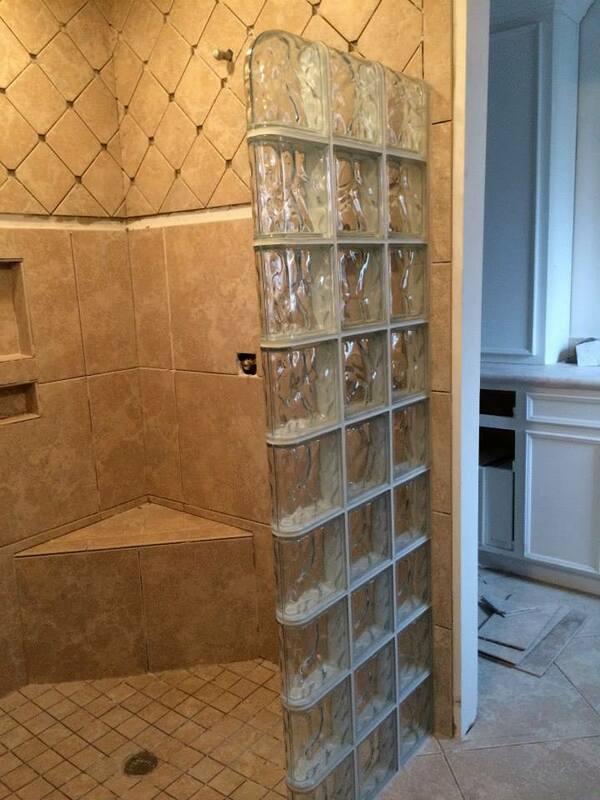 You get all the beauty of a custom-built glass block shower — without the “custom” hassle. For something called “Standard Fit,” it’s quite a revolutionary idea. Our Standard Fit Glass Block Shower is sized right to fit any bathroom. So, whether you’re replacing an existing tub or adding a new shower to your home, the Standard Fit Glass Block Shower, available in three installation kits, is the perfect fit. 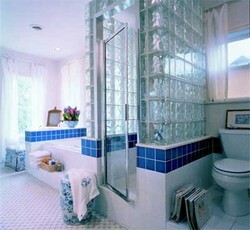 For a truly astounding shower design, step out of the ordinary and step into a beautiful glass block walk-in shower. A dramatic addition to any bathroom, the walk-in shower adds a level of elegance and luxury that today’s discerning homeowner wants. Now you can choose either Mortar Installation or the ProVantage™ Glass Block Installation System. The ProVantage™ Glass Block Installation System is a mortar-less method that incorporates a special spacer system and joint finish to make it easier than ever before to build beautiful glass block walls and showers. 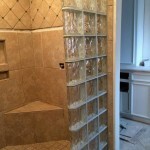 So take a look through this section, and see how these glass block shower systems can give your next bathroom design the custom look you want without the custom installation hassle you can do without.